They say no experience is wasted on a writer, and there’s certainly an element of truth in this. But as a writer, it’s important to recognise that reaction to events and happenings varies hugely, a universal response should not be assumed (goodness, I sound positively Jane Austen-y!!). I’ve been very conscious of that reality this year. Let me explain. In June I was told I had cancer. Hmmm. I needed immediate treatment. OK. The tumour was removed within twenty-four hours of diagnosis. Wow! Impressive or what? The Director in charge of the whole department rang himself to give me the results and talk me through the proposed action and answer my questions. Hello?! I’m even more impressed. What did I do to deserve this? I was given a number to ring any time. Is this really the cash-strapped, people-poor NHS? A wonderfully warm, secure and seamless blanket of care, kindness and support, was thrown around me by a dedicated and highly skilled multidisciplinary team of professionals. There are no words to do justice to the fantastic, way-beyond-the-call-of-duty service I received. A couple of times I did protest mildly that my circumstances didn’t warrant such a massive response; I was fine with this. My protestations were politely but firmly quashed. I was assured my circumstances – and I – did justify all this expertise and compassion. Why? Because apparently the majority of people are shocked and traumatised by this particular diagnosis. They need kid-glove treatment. So the team routinely start from that base line. Why then am I different? It’s not an act. It’s not bravery. Not even a consequence of my faith. Nor does it stem from naivety. Two of my brothers have had cancer and been through much worse times than me; bearing the scars and after-effects still today years later. Two of my sisters-in-law sadly could not be saved and I watched their terminal decline with enormous sadness. 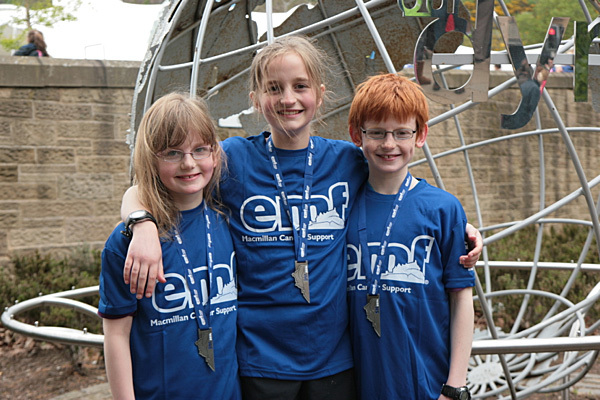 Over the years many dear friends with cancer have suffered, died, some shockingly young, leaving children behind. And in my professional life as a health care professional I’ve seen up close and personal, enormous grief, loss and pain attached to experience of this disease. OK, I may be calm about this diagnosis for myself, but I’m pretty sure that I’d have been far more traumatised if it had related to my children or grandchildren – young, with their lives ahead of them. I’ve had a brilliant innings, beyond the biblical allotted span. Even if this thing has already done its insidious evil work and will eventually beat me, I can’t complain. So I’ve been somewhat bemused by all the messages of concern and comfort and reassurance sent to me during and since my two surgeries. However, they tell me a lot about the fear this illness engenders even today when medical advances have changed the prognoses in many types of malignancy dramatically. Now that I’m back on my feet readjusting to life, I get exclamations – almost accusations! – of doubt as to the genuineness of my energy and normality. Some well-meaning people want to force me backwards into a ‘fragile invalid’ box. Clearly I don’t conform to their conceptions of a cancer patient. Linda Gillard, who is herself an author, and who’s been a terrific support to me in that context, has made me think again, though. She had treatment for breast cancer five years ago which has left her with chronic pain and disability. 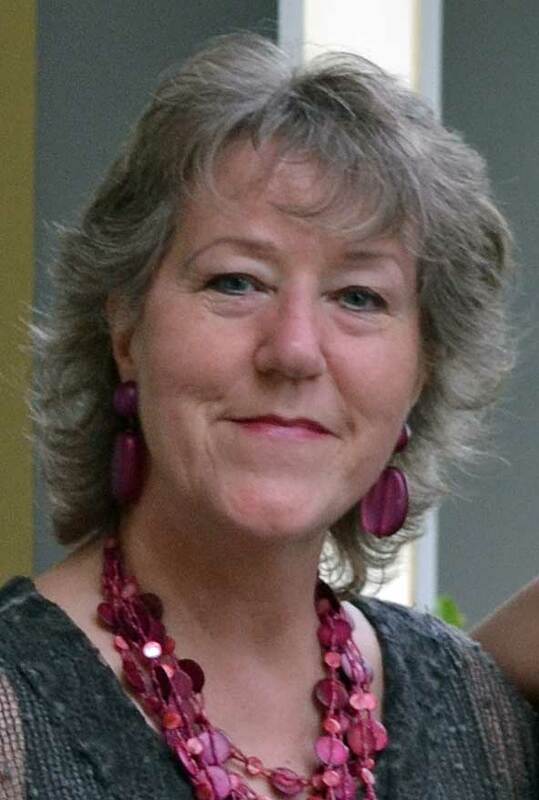 It has radically affected her writing career as well as her quality of life. Indeed her whole experience has been in a different league from mine. Sharing her thoughts on social media recently, she described her reality. I went from diagnosis to mastectomy in less than 3 weeks. 5 years on, I still haven’t made my peace with what happened, I still feel traumatised, I still don’t have my life back because cancer left me disabled with chronic pain which apparently will never go away. Her eloquent and courageous confidences have given others permission to share their abiding worries and traumas. Which all helps me to recognise that I am the one who is most out of sync here. And it’s reinforced the importance of reading, reading, reading; listening, listening, listening some more, in order to gain real empathy with those who are challenged by the issues I explore in my books. I was reminded in some small way of Sabine Dardenne, a twelve year old Belgian girl who was kidnapped by a psychopath and subjected to the most appalling and degrading abuse. When she was discovered after eighty days incarcerated in a filthy ‘hell hole’, everyone expected her to be severely traumatised and in need of sensitive psychiatric help. Instead all she wanted was to get back to normality. In fact, my parents and my sisters were the ones who needed a psychiatrist, not me: all of them ended up having years of therapy, so they were the last people I could confide in. 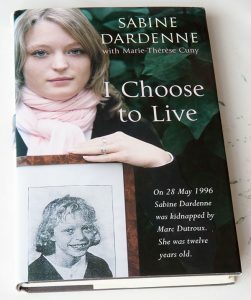 Sabine is one truly remarkable girl whose story (told with help from translators in I Choose to Live) makes humbling and impressive reading. I am certainly not in her league but I do understand where she’s coming from. Hmmm. And I thought I was clued in to other people’s viewpoints and pretty empathetic. After all, I’ve spend years actively listening and trying to understand how they tick, in my professional as well as personal life. Shame on me. But … hey ho, I guess one is never too old to learn. It’s fifty plus years since I began my working days in the NHS, and here I am in 2017 still following medical advances and thinking about modern challenges all these decades later. But lately I’ve been seeing things from a very different perspective; my eyes have been opened to a different kind of reality. 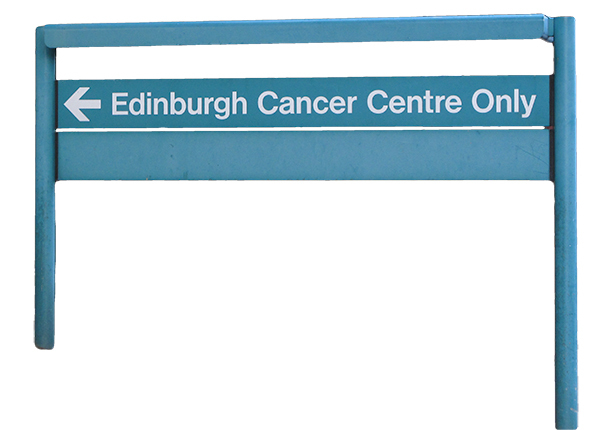 In June I was diagnosed with a malignant tumour. It was surgically removed within 24 hours, but last week I was back in hospital again for second-stage surgery. My care throughout has been exemplary – efficiency, kindness, courtesy, skill, compassion, they all seem to be drip-fed at all levels. Goodness, I even had a reply from the Medical Director thanking me for my letter of appreciation! Way beyond the call of duty. But one practice in particular has struck me forcibly. in ‘my day’ the medical team told patients what was in their best interests; today recipients of care are consulted and encouraged to share the decision making. My dentist takes this approach and, knowing nothing whatever about dentistry, I confess I struggle with the responsibility sometimes. I want to say, ‘I don’t know – you tell me!’ When it comes to my physical health I’m a lot more confident; my background and knowledge stand me in good stead. But I do wonder if all this choice and shared decision-making isn’t rather bewildering for the average ordinary Joe Bloggs. How do they know what’s best? Have they ever thought about mortality/morbidity statistics, or quality of life issues, or palliative versus aggressive care? My novels are designed to help people get inside the skin of those faced with extremely difficult challenges, to increase empathy and understanding, to help formulate sound reasoning. But maybe there’s a case for exploring the more mundane and less dramatic/harrowing situations which people are facing every day. It has taken my own brush with cancer to open my eyes to the impact of this common reality. Just shows you. Report card reads: Could do better. How often have we all heard that lament? Especially from children. If a sibling gets a bigger slice of cake; if a schoolmate gets them into trouble; if a parent doesn’t humour them … But there can surely be few scenarios more legitimately unjust than a baby having cancer. Olivia Stanca who died this past week in a rooftop hospital garden in London after her life support machine was switched off, was born with adrenal cancer. How cruel, how unfair, is that? It spread to her liver. She was just one year old when she died. In her short life she had survived two rounds of chemotherapy but was very vulnerable to infections. Having pulled out all the stops, in the end the medical staff at Great Ormond Street regretfully said there was nothing more they could do for her. Olivia’s story reached the papers only because her parents fought against medical opinion for her to be kept alive, desperately wanting to hang on to their little girl, but eventually this past week even they bravely conceded that it was simply not possible. As their lawyer said, there are no winners in this tragic scenario. Indeed. But thinking about this little family and all they’ve endured made me reflect on books I’ve read recently about children. So I thought I’d share my thoughts on three of them as my little tribute to all families everywhere, like the Stancas, who are grieving today. Three books moreover by the same author, herself a mum, which I read consecutively – a useful way of getting a feel for a particular person’s writing … if you don’t get too jaded by the third one, that is! In previous posts I’ve shared with you my enjoyment of several writers who tackle challenging issues similar to the ones I dabble in – Jodi Picoult, Diane Chamberlain, Lisa Genova. This time it’s Heather Gudenkauf who gets the ‘fans of Jodi Picoult will devour this‘ sticker. She’s a classroom teacher living in Iowa, who tucks writing novels into free moments between work life and bringing up three children of her own. Already I’m impressed. 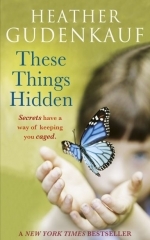 These Things Hidden tells the story of three girls bound together by circumstance and horror, of a prison sentence, of a childless couple whose lives are transformed when a baby is abandoned in a fire station and becomes theirs to adopt. Parental love swells as little Joshua grows up, overcomes his phobias and tantrums, and takes his place in the swell of children starting school. But all is not what it seems. Gradually a back history emerges … mental instability, fractured relationships, murder and intrigue … that keeps the pages turning from beginning to end and the brain whirring. What makes a good parent? How much should any one person be asked to sacrifice for their nearest and dearest? A school shooting forms the core of One Breath Away (definitely shades of Jodi P here!) Parents are waiting at the gates in agony, news of what’s going on inside patchy and conflicting – parents with unresolved issues, parents who didn’t say proper goodbyes, who are not dressed for publicity. And then – horrors – there’s the mother who thinks the gunman could be her son. Inside, the lone gunman is holding a classroom full of 8-year-olds at gunpoint. Intrepid teacher, Mrs Oliver, tries to bargain with him: if she correctly guesses why he is there will he let the children go free? ‘Yes,’ he replies, ‘and for each wrong answer I get to shoot one.‘ But the blame, the gunman says, will lie not with the teacher but with a single police officer: ‘you get to live with the knowledge that the death of these kids and their teacher is all because of you.‘ Gudenkauf maintains the suspense through short sharp chapters to the very end. We’re left wondering how such tragedies can happen. How would we respond if our child/grandchild was held hostage by a madman? How would we weigh the lives of other people’s children against the welfare of our own families? It’s a bit like the question: should we ever pay ransoms to terrorists? Would you pay up if your son/daughter was the one held hostage? … isn’t it? 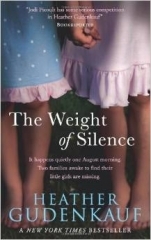 In The Weight of Silence two six year old girls go missing. One of them, Callie, has selective mutism, Petra is her best friend and her voice. Her mother Toni grows increasingly frustrated … and scared. Suspicion mounts. Her brutal husband seems to be missing; the man she has loved since childhood is behaving oddly; her son is convinced his sister is in the woods; there are two sets of footprints in newly raked soil but one of them is made by a man’s boot. The whole neighbourhood is on the alert. And then suddenly mute Callie rushes out of the trees, alone, and utters just one word, a word that conjures up a scenario too appalling to contemplate. Just how far would any of us go to protect our families? How loyal would you be to your abusive partner? Who would you believe? 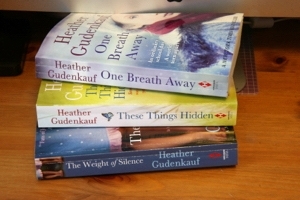 As with all Jodi Picoult lookalikes, Gudenkauf’s novels are the staple diet of book clubs. Meaty topics, haunting questions, a tense plot, literary challenges. Plenty to get your teeth into. But it’s all just fiction. The last thought must be with real live parents who really are enduring loss or life-or-death struggles with their children. My heart goes out to them. 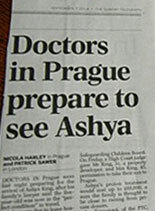 Ashya King is five years old. He’s recently had a cancerous tumour removed from his brain – two major surgeries within a month, in fact. If ever a kiddie needed his mum it’s this one. So how come the authorities thought it appropriate to clap his parents, Naghemeh and Brett, in jail hundreds of miles away from their little boy, in a foreign country where he’d be surrounded by strangers speaking Spanish? According to media reports, the Kents removed Ashya from Southampton General Hospital without medical consent, thereby jeopardising his life. The father claims he told staff he would be taking his son abroad for a treatment he considered less dangerous than the options they advocated. The family then travelled to Malaga to sell a holiday property to pay privately for a relatively new treatment, proton beam radiotherapy (PBT), in Prague, which the doctors in Southampton had declined to sanction. Hampshire Police issued an international arrest warrant on the grounds of suspected child neglect. When they were tracked down in Spain the parents were held in custody in a high-security prison in Madrid, Ashya was made a ward of court, police were posted outside his hospital room, his six siblings were denied entry. Can you picture the effect of all this on a desperately ill child said to be unable to speak, eat or drink unaided? Critics have been vociferous – understandably. Words like ‘draconian’, ‘inhumane’, ‘barbaric’, ‘heavy-handed’ abound. The injustice seemed particularly disproportionate when the country is still reeling from the news that the authorities failed hundreds of children in Rotherham who really were abused over a 16 year period. Huge numbers (over 200,000) signed a petition which went to Downing Street. Then suddenly the authorities did an about-turn, though not before the Kings had been separated from Ashya by 300 miles and several days. David Cameron, recalling the struggles he faced with his own severely disabled son, Ivan, called for ‘an outbreak of common sense’. The Health Secretary offered to fly out an independent oncologist to help advise the parents on the best course of action. Procedures were fast-tracked. This whole fiasco was put down to a breakdown in communication compounded by an over-zealous application of the law. Then came an emergency hearing via a telephone conference; the Kings – once again his legal guardians – were given permission by a judge to fly their little boy to Prague; a private jet was put on standby ready to transfer him; he’s now in hospital there being assessed. A full review of the British authorities role in this whole sad affair has been ordered. That’s what’s been reported. The picture is, of course, immensely more complicated than this, and we are not in possession of all the facts. We can’t be. But what I do know is that the doctors caring for Ashya have a solemn and binding duty of care for him; they couldn’t just shrug their shoulders and turn a blind eye when he vanished. They also have the advantage of objectivity and specialist knowledge. They will know, as the parents can’t, the real statistics relating to PBT; the range of emotions parents in these desperately difficult circumstances exhibit; the conflicts between maintaining confidentiality and defending their decisions; the tension between protecting the child and supporting the family; the real balance of risks and benefits in this particular situation. My own issue is not with the tracking down of the family, but the aggressive way they were then treated. Surely everyone can understand the desperate wish to save the life of a beloved child; sometimes grieving and bewildered parents do take extreme action. I’ve witnessed such extreme reactions in my own professional life, I’ve read and heard of many more. It’s a feature of their frustration, despair, dread, powerlessness. Locking them up serves no useful function whatever. It merely adds to the distress of the little patient and his troubled brothers and sisters. And fuels a sense of injustice and mistrust. Who does that help? 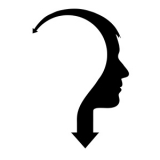 This post should carry a government health warning: If you are quickly bored with facts or allergic to conundrums do not continue with this week’s blog. I’ve always maintained that the subjects I write about are issues which challenge us as a society; they repeatedly hit the headlines. And this remains the case. 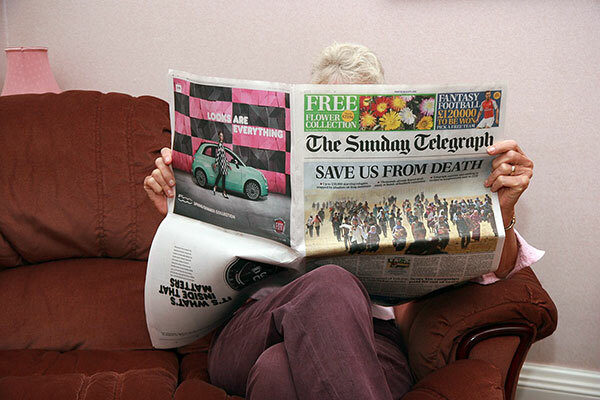 To illustrate the point, I decided to monitor the medical ethical challenges that were reported in one newspaper (The Telegraph) for just one week (4-10 August 2014) and share with you what I found. Wow! Even I was bowled over with the sheer volume of material in this category in just seven days. Please bear in mind as you read, that papers have their own agendas and the facts might not all be correct. However, on this occasion I’m not going to research every issue or attach links or hedge the topics around with qualifiers and alternatives; all these ‘extras’ would detract from my focal point. I’ll simply itemise the issue, and leave you to ask yourself: How would I feel in this situation? What would I do in these circumstances? What should society do? What is fair and just? What are the implications for educating the public, or our limited resources, or competing demands? … Or you can just accept the point if you prefer an easier life! There’s been an outcry against the first national sperm bank (in Birmingham) which openly caters for lesbians and single women who want to start a family without having a relationship with a man. The ongoing story of Gammy, the baby with Downs Syndrome (discussed in my last post) who was allegedly rejected by his commissioning parents following a surrogate twin pregnancy, rolled on with almost daily updates unravelling more and more bizarre aspects, bringing the whole question of surrogacy under the spotlight. A Japanese businessman is said to have fathered nine babies during the past two years using Thai surrogate mothers. Seven nannies have been hired to care for them. 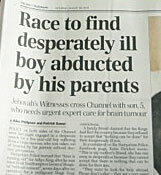 Reports vary as to his motives: from ‘he wanted a big family for himself’, to ‘he’s part of a child trafficking ring’. Former teacher, Dawn Faizey Webster, has been in a locked-in state following a stroke at the age of 30, two weeks after giving birth to her son. She was featured this week completing a university degree 12 years later, by blinking using a laptop that translates her eye movements into text. And yet other people in a similar state are pleading for assisted dying because life is intolerable. Women who drink alcohol during pregnancy slow the development of their children’s brains, reported researchers in Los Angeles. They compared the brains of children with fetal alcohol spectrum disorders and unaffected children over a period of two years. Saga conducted a survey of the over 50s and found that far more are afraid of developing dementia than cancer. A study of 1658 Americans aged 65 and over has found that a severe lack of vitamin D appears to more than double the risk of dementia. But hey, the winter sun in the UK is too weak to generate adequate vitamin levels and older skin is less efficient at doing so. Cue salmon, tuna, mackerel and fortified foods etc etc etc. A report from the Centre for Economics and Business Research has estimated that the number of people who are forced to retire early because they have (or a loved one has) dementia will double within 15 years. Several Britons have been quarantined over fears of the Ebola virus entering this country. It’s alleged that certain ‘special’ patients have been given specific experimental untested drugs to good effect which are not available to others. A nationwide survey of people with bipolar disorder, their carers and the professionals who treat them, is about to begin in this country. The researchers say it’s too often the case that other people remote from the sharp end are the ones who influence research expenditure; they want to remedy this. Critics question the morality of including people with mental illnesses. A teenage girl in Merseyside took her own life after visiting pro-anorexia websites and self-harming. A 24 year old, Stephanie Reynolds, has launched an appeal for a kidney for her mother via Facebook. Thousands of strangers from around the world have offered to be tested to see if they are compatible as potential donors. 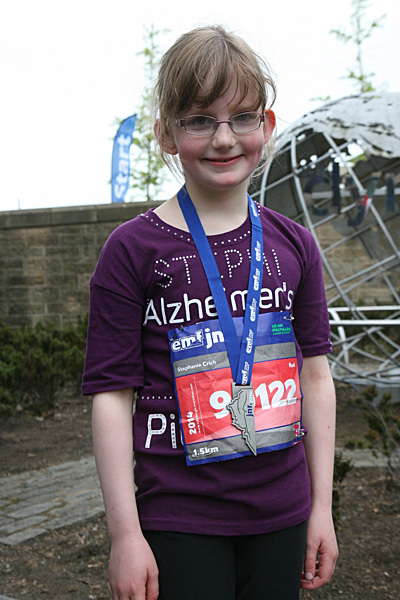 Her mother, Elaine, has an autoimmune element which means she cannot have an organ from a blood relation. The odds of finding a match are less than one in 10,000. Hence Stephanie’s Facebook appeal. Apparently such appeals have been successful in the USA. Grizzly bears gorge themselves and become obese prior to hibernation but they don’t get diabetes. Scientists are asking: Could this offer a clue for treating humans? It seems that prostate cancer screening could save more lives than programmes to detect breast cancer – so says a European study of 162,000 men from 8 countries. That would mean saving around 2300 lives per annum in the UK. And yet … the research has concluded that such screening should not be introduced. Why? Because a high level of over-diagnosis (resulting from the unreliable PSA test) would mean thousands of men going through needless treatment and ending up with incontinence or impotence. A staffing agency, Prestige Nursing + Care, has issued new figures which indicate that pensioners’ incomes have fallen further behind the cost of care homes. This is adding to the pressure on NHS hospitals and putting vulnerable elderly people in danger. Also the number of people receiving home adaptations has fallen by 12% since 2010, heightening the risk and incidence of falls and injuries. A report, The Future of Loneliness, has predicted that hundreds of thousands of pensioners will be all but cut off from services, shops and their local communities within 15 years because of the rise in the use of the internet. The result will be a hugely inflated risk of loneliness, already a worrying aspect of old age. The National Institute for Health and Care Excellence has decided that a revolutionary drug, Kadcyla, that is said to give women with advanced breast cancer an extra six months of life, will not be available on the NHS because it is too expensive, even after the manufacturers have offered a discount. Countries elsewhere in Europe fund it. Ahhh, the old chestnut: if you look at the individual cases, doesn’t every family want to hang on to their loved ones for as long as possible? – well, most families anyway. But add up all those astronomical bills and balance them against only a few more weeks of life and set that against all the other treatments competing for the limited pot of money, and the perspective looks different. Researchers at Imperial College have found that injecting a patient’s CD34+ stem cells into their brain following a stroke encourages tissue repair and may save them from death or severe disability. 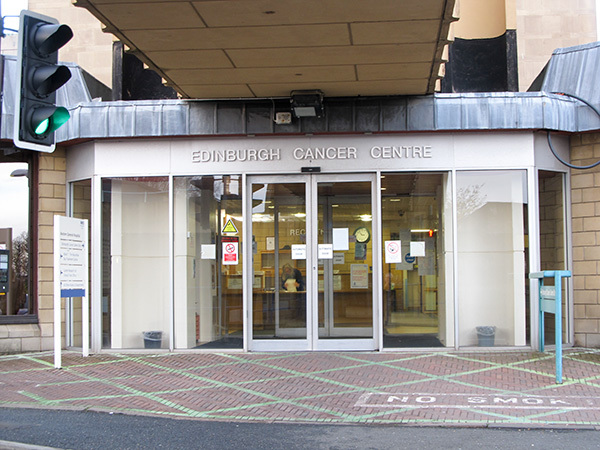 However, an expert has said these improvements could just be due to chance or the special care this small safety trial has provided for a tiny number of patients. The Care Quality Commission has admitted that at least 750 homes providing care for the elderly and disabled have been failing to attain at least one basic standard for more than a year. Why? Because the CGC feared legal threats from the owners of the homes. As a result vulnerable people have been knowingly put at risk. The CQC say that a new regime is being introduced to make protection much more robust. Official statistics on NHS waiting times have revealed that the number of patients forced to queue in ambulances outside A&E departments has almost doubled in three years. In addition, over 3 million people are now on waiting lists for operations – a rise of 700,000 compared with 2010 figures. Phew! As you can see, I shall never run out of triggers for new novels! I’m constantly thinking, What if ……? This week I’m bringing you my very first author interview on this blog. 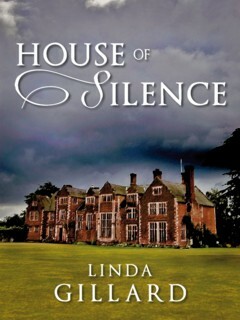 Linda Gillard has just published her seventh novel – the fourth one she’s produced independently, and she’s achieving considerable success going solo. She first contacted me after I’d reviewed one of her books (A Lifetime Burning) and I’ve since benefited greatly from her generously shared experience of independent publishing. She’s one of those people who uses hard experiences positively, and I’m a great admirer of her personal courage as well as her writing, which is why I’ve chosen her as my debut guest author. Here she is talking to me about various aspects of her life and writing. HMcH. Linda, you’ve had a number of varied careers before becoming a full time novelist – actress, journalist, primary school teacher. You’ve also known personal difficulties – mental illness, cancer. All experiences are valuable to authors, but how have your previous lives influenced your writing, would you say? LG. I think my previous lives taught me to communicate effectively, using the minimum number of words. As a columnist I knew my features would be cut from the bottom up by sub-editors, so I learned to thwart them by writing to a word count. As an actress I learned how much can be conveyed in good dialogue and how eloquent silence can be. As a teacher and journalist, I learned it was essential to grab people’s attention. I think my previous jobs also taught me not to judge. That’s useful for a writer. My ill health has made me look – at times desperately – for the positives. Perhaps that’s why I’m able to tackle some tough subjects without losing my readers. HMcH. I personally like the heft you give several of your books by tackling weighty issues like mental illness, loss, social isolation. But what steps do you take to stop them deterring your readers? LG. I send my characters to some very dark places, but I give them a torch and I make sure there’s some light at the end of the tunnel. HMcH. A remote bolthole to escape to? Sounds like a writer’s dream! But you’ve actually lived in desolate spots. Does isolation really help creativity? HMcH. One of the best accolades readers can give is that one’s books are unputdownable. Yours are. What elements in your writing do you think create this quality? LG. Thank you, Hazel. I’d given a lot of thought to this, even before I started writing. I first asked the question when I read Margaret Forster’s novels in the ’80s and ’90s. I noticed that if I glanced at p1 of a Forster novel, I couldn’t stop reading. Somehow she made it impossible for me to stop. (If you want to see what I mean, start reading Shadow Baby.) Forster writes commercial literary fiction, so the hook wasn’t action or sensation. I realised it was all to do with style, not content. Forster never wrote a boring sentence, nor an inelegant one. She made her novels really easy to read – so easy, I didn’t think about putting the kettle on or emptying the washing machine, I just kept reading. That’s what makes a book ‘unputdownable’. It’s not just wanting to know what happens next. I edit and polish until my sentences flow. I cut every word that isn’t earning its keep. But something else that might contribute to the ‘unputdownable’ quality of my books is the fact that I rarely know what’s going to happen when I’m writing and I never know how a book will end. Writing fiction for me is a process of investigation, excavation even. I really want to know what happens next and I’m writing to find out. Maybe some of that curiosity and urgency conveys itself to the reader. HMcH. I wouldn’t describe your books as romances in the usual sense but, I think I’m right in saying, they all have a romantic element. Some reviewers get sniffy about this kind of tangential reliance on crowd-pleasers. How would you reply to them? HMcH. Some of your books include ghosts; several of them revolve around haunted (in a looser ‘troubled’ sense) characters. Are these aspects allegorical or simply a plot choice? LG. Ghosts or the concept of imaginary people appear in all my books, but I think what’s happened over the years is my interest in the paranormal has moved to the forefront of the story. But the ghosts can also be allegorical. 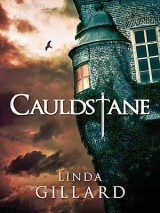 Cauldstane (my latest novel) is my fictional response to my experience of breast cancer – it’s about fear and conquering fear. The malevolent ghost who affects (and infects) an entire family is for me a personification of cancer. Using a ghost as a plot device allowed me to write about my own ghastly experience without scaring off the reader – and that’s important. My first duty is to entertain. Unless I entertain, I’ll have no opportunity to debate or educate. HMcH. Publishing can be a rather fraught business. You’ve tried several avenues, including latterly, self-publishing. Now you’ve done it, would you stay independent? LG. Yes. I can’t imagine any circumstances now where I’d accept a traditional publishing deal. As an indie I’m now earning a decent living from my writing (something I never did when I was traditionally published), but that’s because I keep most of what I earn. To be sure, I’m weary of doing all my own editing, marketing, sales monitoring, etc., but my aim is to earn enough to pay an assistant to do the bits I don’t want to do. Traditional publishing was coming between my books and their readers. Editors said my novels were ‘unmarketable’. Well, maybe they are, but I don’t market my novels, I market myself. ‘Linda Gillard’ is a brand now. My readers are buying a voice. They expect believable characters and a good yarn. They know I’ll be dealing with something I care about passionately, but the genre – and a lot else besides – might come as a surprise. They don’t mind. They trust me now not to let them down. This is a great privilege for a writer. It means I have the opportunity to experiment in a way that wouldn’t be possible if I were traditionally published. HMcH. Thank you so much, Linda. 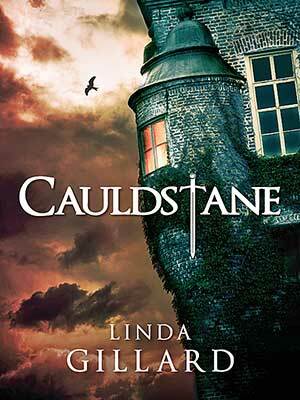 And I wish you every success with your new book, Cauldstane, and improved health from here on. For more information about Linda and her novels visit her website or her Amazon page. Reports of my death have been greatly exaggerated. This week at least. But one day they won’t be, and I’ve been giving quite a bit of thought to my forthcoming demise of late. Two people I know well are terminally ill right now and that does tend to concentrate the mind somewhat, I find. So forgive a rather more sober than usual reflection this week. You don’t get to my age without knowing loss. My father died suddenly and dramatically – a heart attack on a bus. My sister-in-law died slowly from cancer. 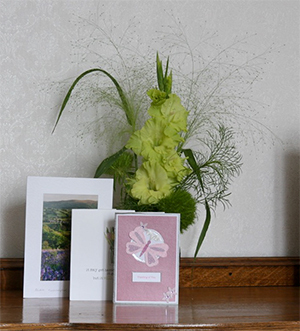 My mother died in steps and stages – a series of strokes and vascular dementia. All were sad experiences and all left the family diminished. But when I think of how I’d personally like to go, then there’s a clear winner. I’d choose my father’s death (without the bus!) – retaining dignity, independence and enjoyment of life right up to the end, then a nice quick clean end. OK, I know it’s a shock for the family, but it’s a great way to go for the ’victim’. And I’m talking about the victim – me. People now fear dementia more than cancer or even death. Were you surprised by this? I wasn’t. There’s something particularly harrowing about watching someone you love lose their connection with the world and you. Seeing them behaving in ways they’d be horrified by if they knew. Fearing they have a glimmer of insight. Knowing it’s all downhill. Of course, I know there are wonderful people out there doing amazing things to capitalise on the positive, minimise the negative. And I salute them. But dementia is still a distressing disease. And the statistics are scary. The facts were spread all over the papers. It’s a massive and increasing problem. And it’s scaring people rather like the threat of HIV/Aids did back in the 80s and 90s. Only none of us can hide from this particular threat. It isn’t affecting specific groups; it’s lying in wait for any one of us regardless of class or wealth or lifestyle. You can’t buy yourself out of this one. You can’t insure against it. You can’t put yourself outside of its reach by any means except perhaps dying very young. Or committing suicide. Funding cuts are threatening to reduce spending in the neurosciences (that includes research into dementia and mental illness) by £4 million. 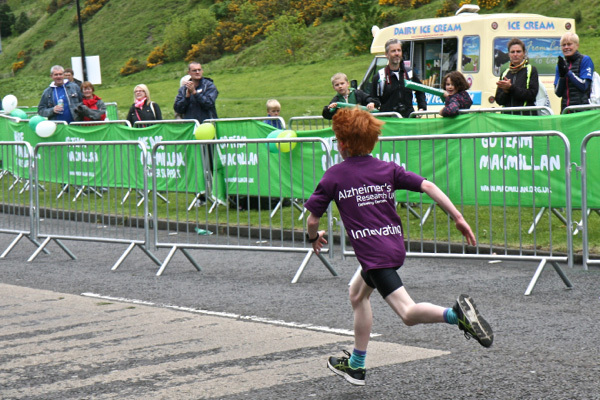 But Alzheimer’s Research UK has launched a special appeal for public response to increase investment in this cause. Because the world still isn’t taking enough notice of this massive problem. Is it because so much of the tragedy is played out behind closed doors, I wonder? Sir Terry Pratchett thinks so. And he’s got a vested interest in this. How sad is that? Sigh. Me? I’m off to chop things very, very small!